In fact, self-employed workers who are not incorporated will now be eligible for such an advantage. Following a recent decision by the Supreme Court of Canada, combined with a new administrative position taken by Revenue Canada, these workers may now use the so called " cash damming " technique and therefore convert non-deductible mortgage interest on their personal residence into deductible interest. 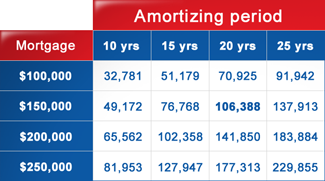 In referring to the table below, we note that a person who has opted to amortize his residential mortgage of $150,000 (at an average rate of 6%), over a 20-year period, may deduct an imposing figure of $106,388 from his income, over the years. Usually, self-employed workers who are not incorporated use their own gross revenue (that is, their total sales or billing) to pay their current operating expenditures and they finance their major personal expenses, such as a mortgage on their house. By using the cash damming technique, those same people will use the gross revenue from their business to speed up payment of their personal mortgage and, from now on, will finance 100% of their operating expenditures. In so doing, they will gradually convert non-deductible interest (from their mortgage) into deductible interest (from their business loan). Mike is a self-employed, non-incorporated worker and, within his profession, he incurs $75,000 in business expenditures (lease, salaries, supplies, etc. ), which, so far, are being paid from his gross business revenues of $200,000. Mike has just bought a new house and will have to pay down a mortgage of $150,000. 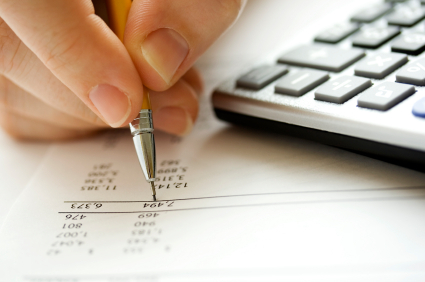 Once the cash damming technique is in place, Mike will use that part of his revenues that would have normally gone toward paying his business expenditures, to make an additional mortgage payment on his personal residence. Then, the financial institution will allow Mike to use a mortgage line of credit for an amount equivalent to the additional mortgage payment that he has just made. And so, with his mortgage line of credit, Mike will therefore be able to cover the cost of his current business expenditures. And since the amounts loaned against the mortgage line of credit will have been loaned for business purposes, Mike will then be able to deduct, from his revenue, the interest incurred on the loaned amount. He will have consequently converted non-deductible interest (from a residential mortgage) into deductible interest (from a line of credit for business purposes). With annual business expenditures of $75,000, it will take Mike barely 2 years to completely convert his initial mortgage of $150,000 into a mortgage line of credit, simultaneously making the interest deductible for the full remaining term of his debt debt. In this way, Mike will recover over $47,875 net in taxes. A salaried employee, just like a self-employed worker, who owns or purchases an income-producing property property, will be able to use a, different form of cash damming so that he, too, can convert non-deductible interest from his residential mortgage into deductible interest. In fact, in such a situation, that person will then be able to use that part of his rental income that would have normally been spent on paying the operating expenditures of the rental building (taxes, insurance, maintenance, mortgage payments, etc.) to make an additional mortgage payment on his personal residence. And just like Mike in the previous example, once this additional payment is made, this salaried employee will then use mortgage line of credit to pay current expenses on his income-producing property. And since the amounts loaned against the mortgage line of credit will have been loaned for business purposes, he will have then gradually converted non-deductible interest (from his residential mortgage) into deductible interest (from his line of credit for business purposes).